incorporating an extruded polycarbonate diffuser. It incorporates a system of joins and fixtures so that all kinds of shapes and orientations can be achieved with a single system. 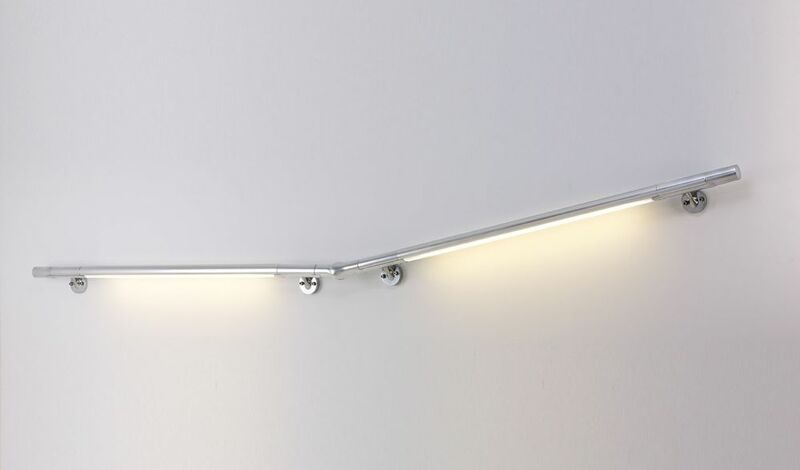 Its clean and simple lines are ideal for illuminating stairways, landings or corridors. Ask about the possibility of installing an emergency module. AIA (Activitats Instal.lacions Arquitectòniques) is a multidisciplinary team from Barcelona that has been delivering industrial design, architecture and engineering projects since the early 1990s. Sustainability, state-of-the-art technology and efficiency are three of the pillars which support its work. Their participation in architectural projects becomes an opportunity for innovation, since they design objects for which industry has not yet provided satisfactory solutions. This is how AIA designed the Linia multifunctional technical lamp, manufactured by Vanlux. AIA has collaborated, among others, with the renowned French architect Dominique Perrault, on the D-123 building in Barcelona.